Events & Venues is responsible for managing two spaces located in the 1957 E Street building. 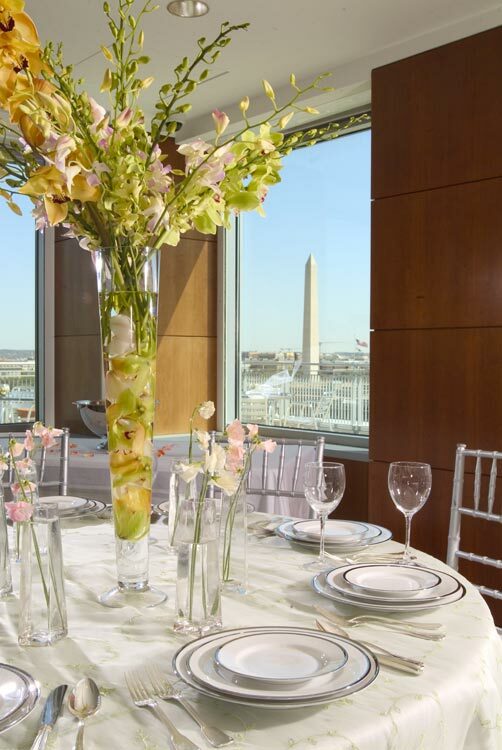 The City View Room and State Room are located on the 7th floor and feature sweeping views of the nation's capitol's landmarks. Perfect for executive meetings, receptions, social events and other special occasions, our event facilities provide an exceptional backdrop for your ideal event. 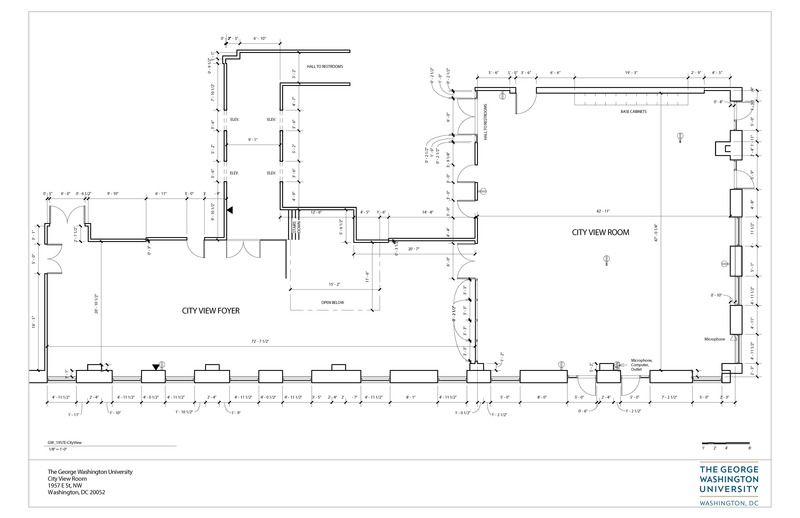 The City View Room is a 47 feet by 48 feet customizable space that can hold up to 200 people based on your event needs. Capacities are for estimates only and will vary based on specific A/V, set-up and catering needs. 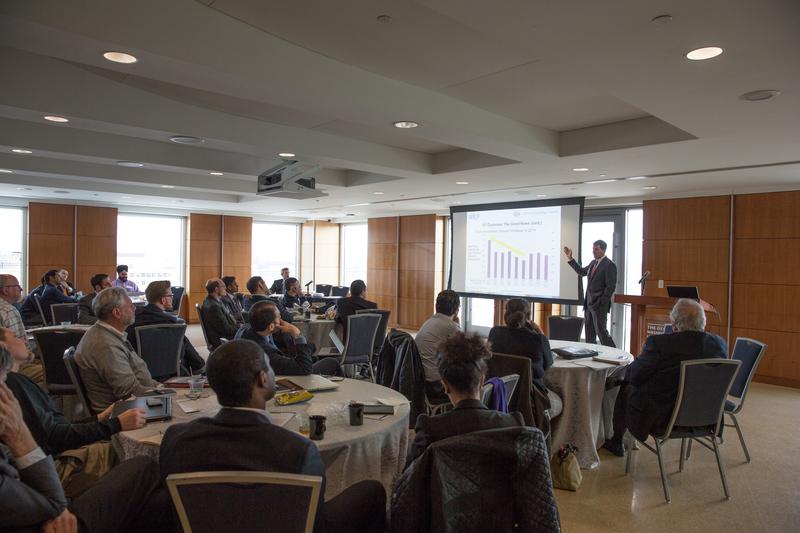 The State Room features a three-tiered U-shaped configuration with fixed seating for up to 70 people. City View Room set with crescent round style seating. City View Room set with banquet rounds for a wedding. 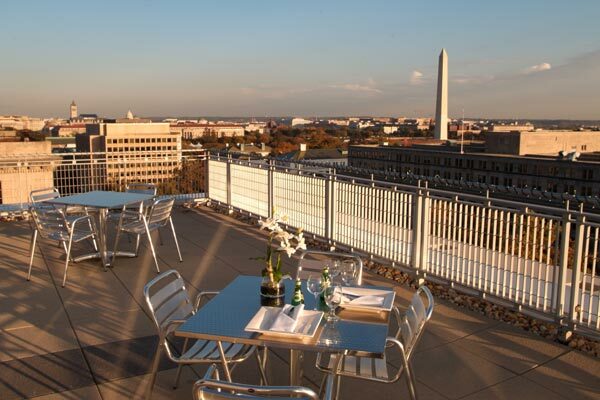 City View Room Terrace featuring sweeping views of Washington, D.C., the monuments and the National Mall. State Room with fixed seating for 70. State Room with podium and panel table.